How can a service and its consumers accommodate isolated failures and avoid unnecessarily locking resources? A service can exchange messages with its consumers via an intermediary buffer, allowing service and consumers to process messages independently by remaining temporally decoupled. Queuing technology needs to be incorporated into the surrounding architecture, and back-up stores may also be required. There may be no acknowledgement of successful message delivery, and atomic transactions may not be possible. 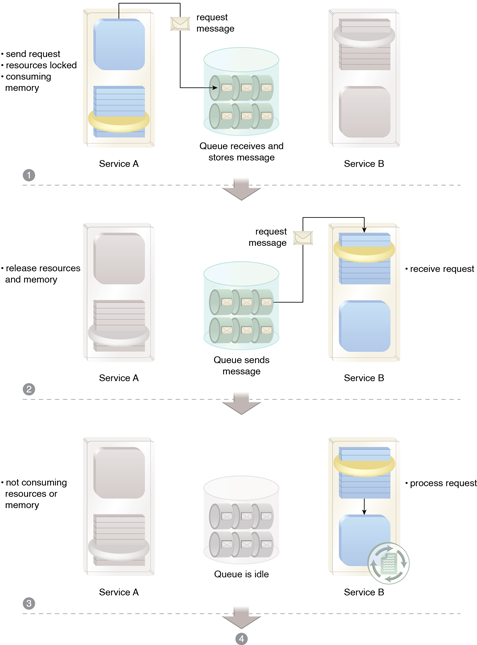 Service A sends a message to Service B, which is intercepted and stored by an intermediary queue (1). 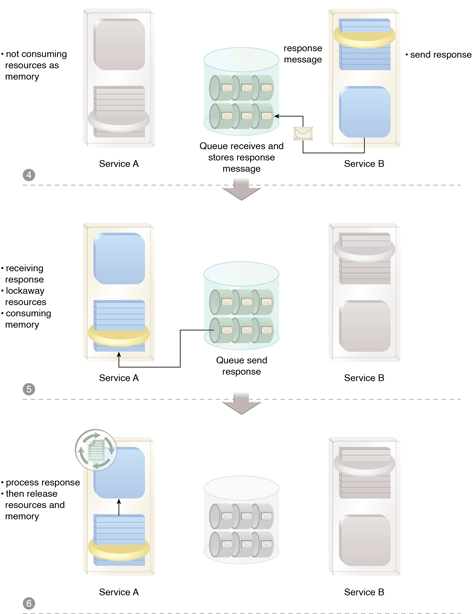 The queue the forwards the message to Service B (2), and while Service B is processing the message, Service A remains released from memory (3). After completing its processing, Service B issues a response message back to Service A, which is also received and stored by the intermediary queue (4). 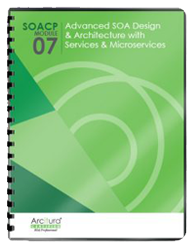 Service A receives the response (5) and completes processing of the response, all the while Service B is deactivated (6).